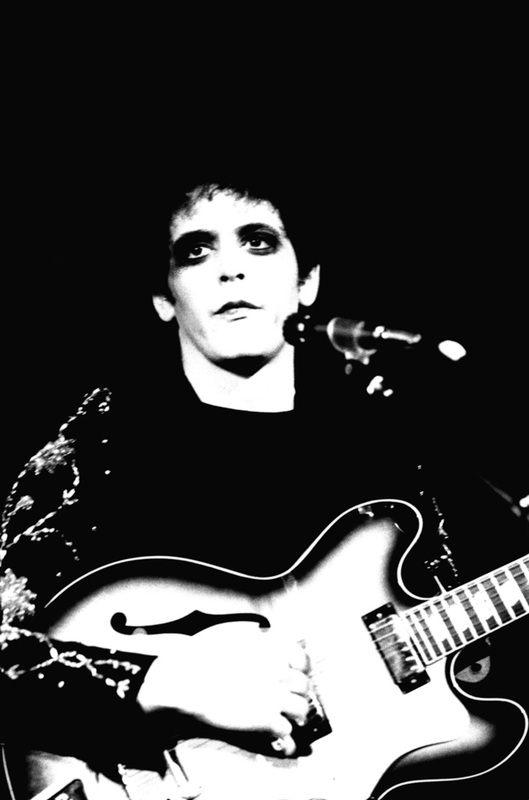 In 2013, Lou Reed, rock icon, artist and poet, collaborated with legendary photographer Mick Rock in one of the most visually exciting books Genesis ever produced. Now, for the first time since Lou passed, his limited edition is available again. This copy especially bound for Hedleys and is a Lou Reed signed copy. 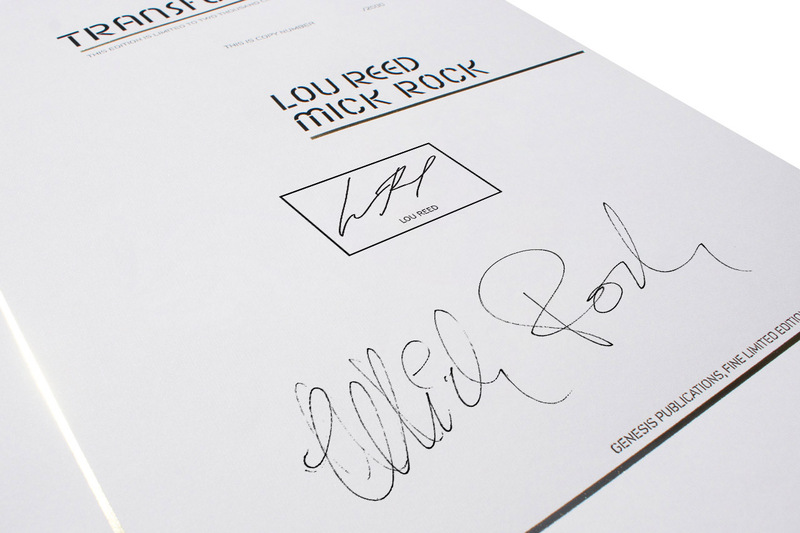 Binding: Lou and Mick's Transformer image is recreated by hand on the cover of this craft-bound book in black, white and gold foil detailing. 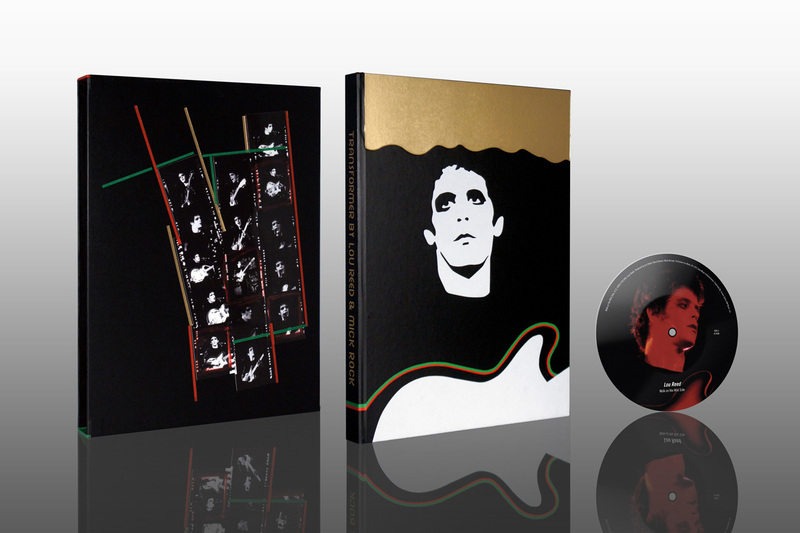 Box: The large format edition (290mm x 390mm / 11.5" x 15.5") is presented in a slipcase, with Mick's annotated contact strips inset. Extras: Additionally, a limited edition 7" vinyl, a picture disc featuring the tracks 'Walk on the Wild Side' and 'Coney Island Baby' is enclosed. A new booklet presents previously unseen photographs and a 2000-word essay by Mick Rock.